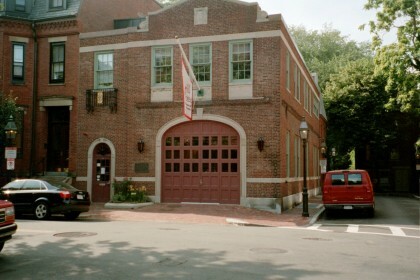 The Front of the Boston Firehouse after the Firehouse had been returned to its original condition. In this picture, you can see through the Garage Door windows into the vacant 1st floor. Another view of the Front after the Hill House had moved into the Firehouse. 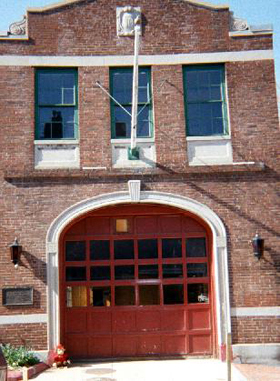 The Front of the Firehouse from the southeast corner of Mt. 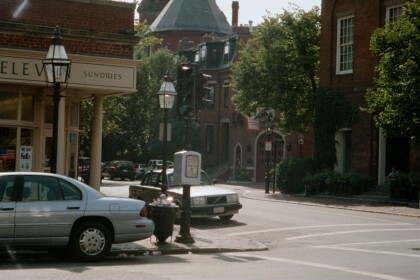 Vernon Street and Charles Street.